Global finance leaders at have ended a G20 meeting with little consensus on how to resolve escalating disputes over US trade tariffs. They called on Sunday to step up dialogue to prevent geopolitical tensions, but warned that growth, while still strong, was becoming less synchronized. European Commissioner for Economic and Financial Affairs Pierre Moscovici said: "I would say the meeting has not been tense and that all arguments were exchanged and that at least we are in a mutual listening mode and I hope that this is the beginning of something. Something positive. But, well, this has to be confirmed.But still the positions are not similar. A meeting between US President Donald Trump and European Commission President Jean-Claude Juncker will be held this week, but the EU man will not take a specific trade offer to Washington. US Treasury Secretary Steven Mnuchin said: "We're looking forward to those discussions. I think the message was very clear. People are trying to make this about the United States and protectionism, that's not the case at all. This is about the United States wanting free and fair trade." 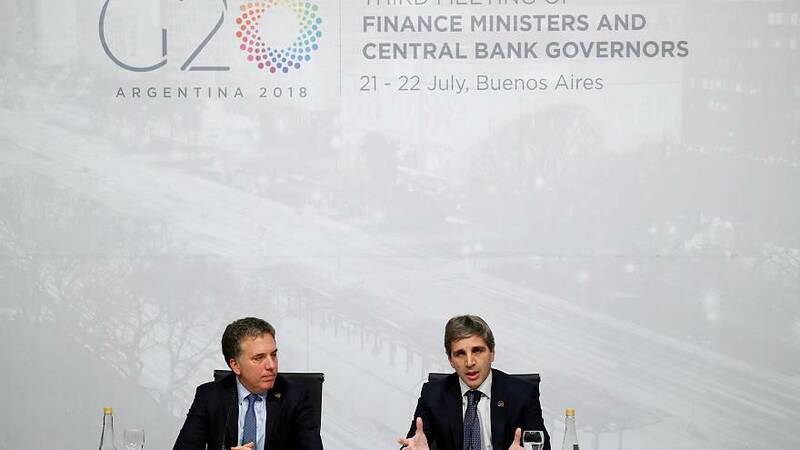 The talks in Buenos Aires came at a time of escalating rhetoric in the trade stand off between the United States and China, the world's largest economies.